The Brillantis 2 is the new tyre for small and compact cars from budget brand Barum. In this context the engineers at Barum were the first to use the asymmetrical tread pattern concept - where the right and left side of the tyre differ in their layout - on a tyre destined for compact cars. As a result, they were able to reduce braking distances by up to 3%, as well as enhancing characteristics in the wet. Driving comfort also benefited from the new design. Making the tyre's ground contact patch even more uniform in its structure has improved mileage performance by over 10%, compared with the tyre's predecessor. The new Brillantis 2 is now available from tyre dealers in 13" to 15" sizes, approved for speeds of up to 210 km/h (131 mph). Traditionally the tyre developers at Barum aim for low-cost models that meet high safety standards. It was for this reason that on the new Brillantis 2, which now replaces the previous model, they opted for an asymmetrical design for the small car segment for the first time. The very flat contour of the ground contact patch also means high mileage performance, making vehicle use exceptionally economical. With an asymmetrical pattern, the tread is structured to suit the respective function - the outer side ensures that the forces occurring during steering are transmitted swiftly and safely to the road, whilst the centre and inner side of the tyre are designed to provide high grip for setting off and braking. This arrangement means that handling is safer, braking distances are shorter and water can be dispersed more quickly on wet roads than is possible with conventional tread patterns. With its extra stiff tread lugs providing good support on the tarmac, the rugged outer shoulder of the new Brillantis 2 enables the tyre to respond swiftly to steering commands. This ensures high safety during the critical steering manoeuvres required when, for example, sudden obstacles are encountered on the road. For the central section and inner side of the tyre, a combination of continuous lateral grooves and narrow sipes in the tread lugs was created to ensure that water would be channelled swiftly from the ground contact patch and to enable a multiplicity of edges to be generated during braking. This means that braking distances can be kept short, even on wet roads. The narrower tread grooves in the tyre shoulder sections are a further positive effect of the asymmetrical design, as these generate less rolling noise and thus increase driving comfort. 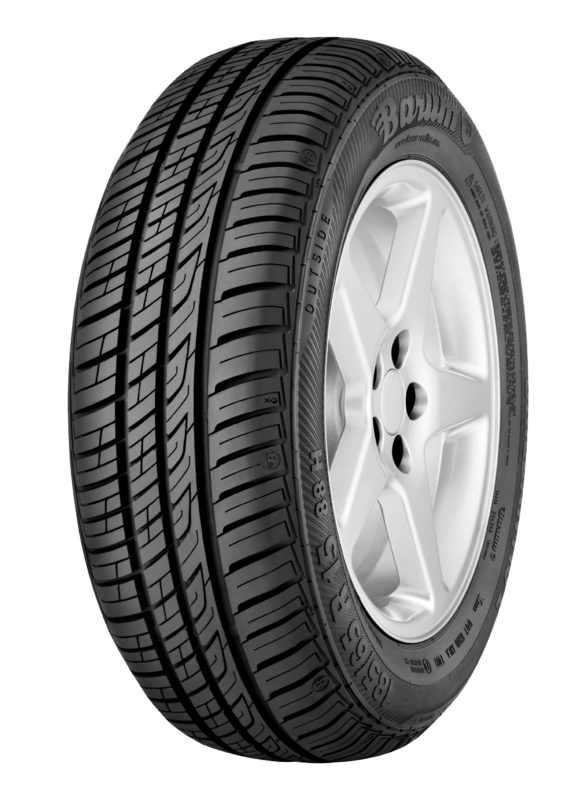 What is also new on the Brillantis 2 are the clear indicators which show when the tread depth goes below three millimetres, the level at which tyre replacement is strongly recommended. To ensure that this limit is clearly identifiable, the tyre features wet tread wear indicators (Wet TWIs), which are small ridges 3mm high between the tread grooves. If the tread around these ridges is on a level with them, it is time to replace the tyres to ensure continued safe water dispersion and short braking distances on wet roads. The new Brillantis 2 from Barum will be launched in 28 different sizes; the new tyre will, however, be available at the same price as its predecessor.